Jean-Noé is a 2018-2019 Community Leadership in Justice Fellow at the Centre for Law, Technology, and Society at the University of Ottawa. Jean-Noé Landry is the Executive Director of OpenNorth, Canada’s leading nonprofit organization specialized in open data that researches and advocates for ‘open smart cities’. An Open Smart City is where residents, civil society, academics, and the private sector collaborate with public officials to use data and technologies in an ethical, accountable, and transparent way to govern the city as a fair, viable, and liveable community that balances economic development, social progress, and environmental responsibility. Remaining based in Montréal during his fellowship, Mr. Landry will continue to lead OpenNorth’s strategic direction, major programs, and partnerships. Mr. Landry will be hosted by the University of Ottawa, Centre for Law, Technology, and Society. With support by Florian Martin-Bariteau, LL.D., the Centre’s director and an assistant professor within the Faculty of Law (Common Law Section), Mr. Landry’s fellowship will examine power relations in a smart city ecosystem, in particular the role and influence of citizens. It will investigate how citizens may be commodified, how political participation is framed, and what changes occur as a result of the introduction of various networked and urban ‘smart’ technologies – both positive and negative. Mr. Landry’s fellowship will include the development of OpenNorth’s Open Smart Cities Guide v2.0, a series of in-depth case studies examining the different dimensions of shifting human agency in smart cities, and a workshop on smart and inclusive cities. Law students at the university will learn about these concepts and have the opportunity to get involved in the research through guest lectures and experiential learning activities. Julie is a 2018-2019 Community Leadership in Justice Fellow at the Faculty of Law at the University of Ottawa. Julie Mathews is the Executive Director of Community Legal Education Ontario (CLEO), the province’s leading public legal education organization that provides clear, accurate, and practical legal rights education and information. She has extensive experience leading numerous initiatives relating to improving access to justice through community-oriented legal education, information, and other supports. Ms Mathews will be hosted by the University of Ottawa, Faculty of Law (Common Law Section) where she will work in close partnership with Professor David Wiseman, who has significant research and teaching expertise in the area of community-based legal assistance and access to justice. Through her fellowship, Ms Mathews will undertake a collaborative research project that will explore the challenges faced by community service organizations in helping the people they serve who face legal problems, in particular those living on a low income or experiencing other social disadvantages. At the law school, students will have the opportunity to be involved in the research project and Ms Mathews will share her extensive experience in community legal education with law students and legal educators through a series of guest lectures. The project will deliver an action-oriented framework of policy and program options for supporting and enhancing the role of community service organizations as ‘justice partners’ making an integral contribution to improving access to justice in Ontario. Nikki is a 2016-2017 Community Leadership in Justice Fellow at the Faculty of Law at the University of Windsor. Nikki Gershbain is the National Director of Pro Bono Students Canada (PBSC). She has extensive experience developing and overseeing programs that use law students to provide legal services without charge to people in need. Ms. Gershbain’s fellowship is with the University of Windsor, Faculty of Law. There she will partner with Dr. Julie Macfarlane, Distinguished University Professor and director of the National Self-Represented Litigants Project (NSRLP). The NSRLP emerged out of a ground-breaking research study conducted by Dr. Macfarlane, and partially funded by The Law Foundation of Ontario, that documented the experiences of self-represented litigants in Canada. As part of her Fellowship, Ms. Gershbain will research and develop teaching tools for a new model of legal service delivery called legal ‘coaching’. She will work with legal institutions to refine and promote the coaching model as part of the profession’s response to the increase in self-represented litigants, which could have far-reaching consequences for how a new generation of lawyers interact with clients and approach the practice of law, including family law. Sarah is a 2016-2017 Community Leadership in Justice Fellow at the Ontario Institute for Studies in Education at the University of Toronto. Sarah Pole is the Executive Director of Law in Action Within Schools (LAWS), the youth outreach partnership between the University of Toronto Faculty of Law and Osgoode Hall Law School at York University. She has extensive experience in youth justice education and has focused in particular on youth facing personal and systemic barriers to success. The theme of Ms. Pole’s fellowship is urban inequity. Ms. Pole will be hosted by the Masters of Teaching Program at University of Toronto, Ontario Institute for Studies in Education (OISE). Ms. Pole will research and build connections among the education, legal, and urban planning sectors to explore how our physical environments impact diverse youth, their education, and their ability to engage as citizens in issues that matter to them. Additionally, Ms. Pole’s work will look at the impact the built environment has on young people’s ability to consider and enter legal sector careers. Ms. Pole’s fellowship will include the development of a community asset mapping project that includes a teaching unit linked to the Ontario curriculum; a tri-sector collaboration among legal, urban planning, and educational professionals to consider issues of access, inclusion, and participation; and a youth symposium. Brenda is a 2016-2017 Community Leadership in Justice Fellow at the Faculty of Law at Western University. Brenda Young is the Community Justice Director for the Chippewas of the Thames First Nation (COTTFN). Ms. Young was a 2013 Indigenous Fellow at the United Nations Office of the High Commissioner for Human Rights and is currently active in a number of community and legal organizations including the Law Society of Ontario Equity Advisory Group and Legal Aid Ontario’s Aboriginal Issues Advisory Committee. Hosted by Western University, Faculty of Law, Ms. Young’s fellowship will focus on the connection between international and domestic legal frameworks on the human right to economic justice for Indigenous peoples and how these can be translated and applied to achieve economic justice locally. Ms. Young’s fellowship will include collaborative research that will inform the development of guideline curriculum for a course that will be taught at Western and shared with other law schools and Indigenous communities. 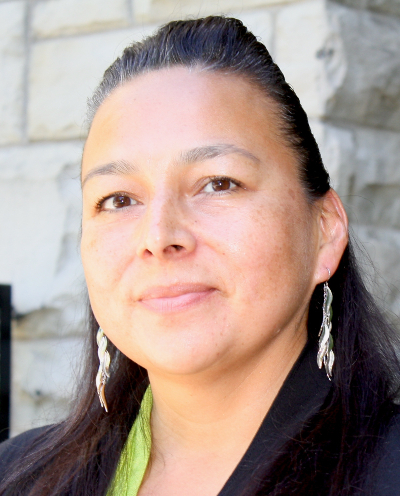 She will lead discussions with Western faculty and with members of the COTTFN and use the outcomes of these discussions to develop an Economic Justice Symposium. Ms. Young’s fellowship will also advance the university’s response to Call to Action 28 of the Truth and Reconciliation Commission, the role of law schools in increasing the understanding of Indigenous law. Deepa is a 2016-2017 Community Leadership in Justice Fellow at the University of Toronto, Factor-Inwentash Faculty of Social Work. Deepa Mattoo is the Legal Director at the Barbra Schlifer Commemorative Clinic. Ms Mattoo is an expert in violence against racialized women, refugee law, and the rights of non-status immigrant women. In partnership with the University of Toronto, Factor-Inwentash Faculty of Social Work, academics from the faculties of law and sociology, and the Rights of Non-Status Women Network, Ms Mattoo will dedicate her fellowship to focus on the experiences of racialized women who become non-status immigrants or have precarious immigration status in Canada and will examine relationships between race, gender, and immigration status as they relate to immigration and refugee law. 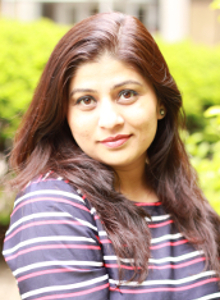 Ms Mattoo’s fellowship will result in an intersectional analysis of the relevant legislation and how the laws impact the delivery of services to immigrant women. As part of the fellowship, she will deliver workshops to share client-centered best practices with law students, settlement workers, social work students, and lawyers. Bruce is a 2015-16 Community Leadership in Justice Fellow at the Faculty of Law of the University of Ottawa. 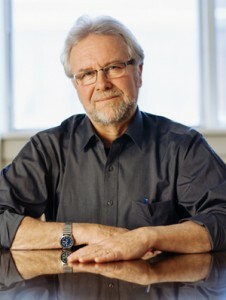 Bruce Campbell, Executive Director of Canadian Centre for Policy Alternatives and a leading policy expert in Canada, will bring together the experiences and expertise of the community and academia sectors to explore the causes and consequences of public disasters, particularly the Lac-Mégantic rail disaster of July 6, 2013. Campbell will be hosted by the Common Law and Droit Civil Sections at the University of Ottawa’s Faculty of Law, as well as the University of Ottawa’s Human Rights Research and Education Centre (HRREC). 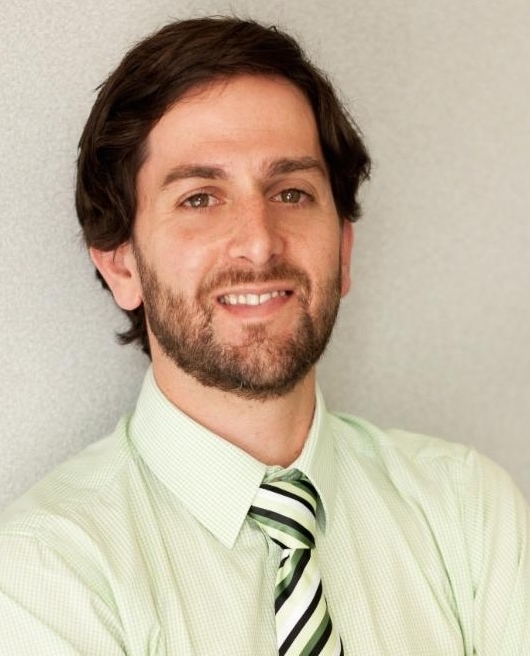 Adam is a 2014-15 Community Leadership in Justice Fellow at the Faculty of Law of the University of Windsor. Adam Vasey, Director of Pathways to Potential, will work with the University of Windsor, Faculty of Law, to define community based conceptions of access to justice, develop a pedagogically sound model for law student externship placements with anti-poverty organizations, and facilitate networks between university disciplines and community groups. Tracy Heffernan, a program director at the Advocacy Centre for Tenants Ontario (ACTO), will partner with Osgoode Hall Law School at York University. Heffernan will explore the potential to reduce homelessness using the Charter of Rights and Freedoms and other legal tools. Heffernan will study the ways in which the Charter has already been used to advance social and economic rights, and will create a new directed research course for students at Osgoode Hall. Her fellowship will culminate in a symposium next year, at which an international group of experts will consider potential next steps towards establishment of a right to housing in Canada. Osgoode students participating in the new course will focus on the root causes of homelessness and inadequate housing, and on how the law might be used to address these issues. 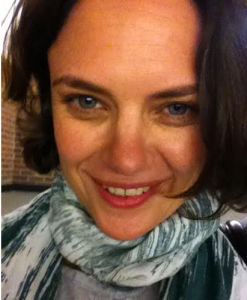 Heffernan will also provide workshops and guest lectures during her fellowship. Law students will be exposed to issues of poverty and homelessness and will be encouraged to consider what role they can play as lawyers. Sheila Burns, a noted specialist and advocate in the field of Fetal Alcohol Spectrum Disorder (FASD), will spend 10 months at Georgian College Orillia Campus. Her work will focus on helping prevent people with FASD from becoming involved with the criminal justice system, and on improving diversion rates and outcomes for those who do. She will develop two FASD courses, one for delivery at Georgian within its Human Services and Child Studies Portfolio, and one for delivery online to police and other justice-related service providers. She will also develop a FASD post-graduate certificate program at Georgian, which will be the first in Ontario. Burns will coordinate roundtables with diverse justice services stakeholders around the province, culminating in a conference. The fellowship will also encompass a research project focusing on the effectiveness of supports within the justice system, drawing on the experience of individuals with FASD, and establishment of a FASD Resource Centre at Georgian – positioning it as an educational leader in this emerging field. Marian MacGregor, clinic director for the Community and Legal Aid Services Program (CLASP) at York University’s Osgoode Hall Law School will develop an intensive clinical program in disability law which will be offered to Osgoode students as early as 2013. This will build on Osgoode’s established leadership in clinic-based legal education, and enhance capacity in this specialized and under-serviced area of law. The program is expected to involve a dual placement: one at the ARCH Disability Law Centre, a specialized community legal clinic in central Toronto, and one at a non-governmental organization pursuing relevant policy work. Danielle McLaughlin, Director of Education at the Canadian Civil Liberties Association and Education Trust (CCLA/CCLET) will partner with the University of Windsor’s Faculty of Education. Her work will focus on helping teachers to prepare students to think critically about civil liberties, understand their rights and responsibilities, and actively participate in democracy. This will include development of new assignments for use during teaching practicums, and online components for an animated civil liberties video series. Vincent Greason, of TROVEPO, (a coalition of public interest groups in the Outaouais region of Quebec, adjacent to Ottawa), will partner with the University of Ottawa’s Human Rights Research and Education Centre. Greason, who has extensive expertise in community mobilization and public legal education will be a resource on the connection between community group practices, social change and public legal education. He will deliver workshops and a public lecture on this topic, and undertake research on social-rights indicators and comparative anti-poverty practices in Ontario and Quebec. Greason says this work will “help Ottawa’s law faculty strengthen its connections with community partners and sharpen its focus on public interest law”. Richard Elliott, Executive Director, Canadian HIV/AIDS Legal Network will partner with the University of Toronto, Faculty of Law. His work will focus on legal research and policy analysis to support proposed legislative reforms to Canada’s Access to Medicines Regime (CAMR). Mr. Elliott will prepare materials for legislators such as parliamentary submissions as well as material for engaging a broader non-legal public, including the media. He will also make contributions to academic research and discussion at the University through guest lectures and workshops in various faculties or departments – and serve as an expert resource for students undertaking research for credit on the issue of global access to medicines. Mr. Elliott will also prepare an article for publication in a law journal regarding CAMR reform. Michael Janigan, Executive Director, Public Interest Advocacy Centre (PIAC) will partner with Carleton University’s Department of Law. He will lecture and prepare course material that will engage students to do outreach work with citizen groups in the area of protecting the vulnerable consumer in the Canadian marketplace. His work will cover the principles of competition, regulation and general rules of consumer protection and involve practical involvement with issues arising in specific industries. Mr. Janigan will also liaise with other faculties at Carleton to share information that will be of assistance to his organization (PIAC) in the advancement of consumer advocacy. Allan McChesney, Senior Legal Researcher, Reach Canada will partner with the University of Ottawa, Human Rights Research and Education Centre, to pursue three linked activities. In collaboration with University of Ottawa academics, staff and community partners, he will explore options for fostering cross-disciplinary research and education, professional training and public education on disability and law issues. In cooperation with Reach Canada, practising lawyers, law students and other community stakeholders, he will contribute to efforts supporting “Barrier-free Access to Courts for Persons with Disabilities”. Allan will also be an occasional Guest Lecturer, covering law and policy issues related to disabilities and disability accommodation in Canada and at the international level. Michele Leering, Executive Director and lawyer with the Community Advocacy & Legal Centre will partner with Osgoode Hall Law School of York University, and will explore two broad strategies to increase access to civil justice, particularly for people living in poverty or on a low income. One strategy will focus upon the education of law students, and the other will explore the potential promise and power of new partnerships. Joyce Zuk, the Executive Director of Citizen Advocacy, and Executive Director of Well-Come Centre for Human Potential will partner with St. Clair College of Applied Arts & Technology. She will develop a model for community agency satellite “Form Clinics” which will be serviced by students of the College’s Paralegal program. This project will help address two problems: how to obtain assistance for certain members of the community who require help in understanding regulatory processes and working through the documentation which accompany these processes, and how to provide opportunities for students of an accredited paralegal program of study to apply knowledge, and practice skills in a diverse “live-client” environment. Francisco Rico–Martinez, Co–Director of the FCJ Refugee Centre in Toronto, is conducting research on the basis and implications of “the principal applicant” approach of Canada’s immigration and refugee law, policy, procedures and programs. Hosted by the University of Toronto, Faculty of Law, the goal of the Fellowship is to improve the fairness of the immigration and refugee system. Mr. Rico–Martinez plans to enrich the pedagogical experience by providing students with the “uprooted people” perspective in the course of their activities at the University’s legal clinics, guest lecturing in classes and providing workshops for faculty and students. 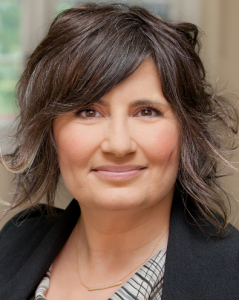 Leilani Farha, Director of the Women’s Program at the Centre for Equality Rights in Accommodation (CERA) is implementing the Social and Economic Rights Program within the Human Rights Program at Carleton University. The aim of the program is to contribute to the development of law reform initiatives with respect to women’s economic and social equality and focuses on four central activities: organizing a colloquium on claiming economic and social rights in Canada; forming a student research group to work on the impact of forced eviction on women in the Philippines; guest lecturing; and assisting in developing practicum placements for students. Kimberly Murray, Executive Director of Aboriginal Legal Services Toronto, conducted research at the School of Criminal Justice, Ryerson University on Aboriginal deaths in custody in Canada in an effort to provide Aboriginal communities a solid foundation from which to base policy and law reform activities in this particular context. Ms. Pate also organized a Lecture Series for community activists, legal reformers and community agencies involved in Aboriginal legal issues.